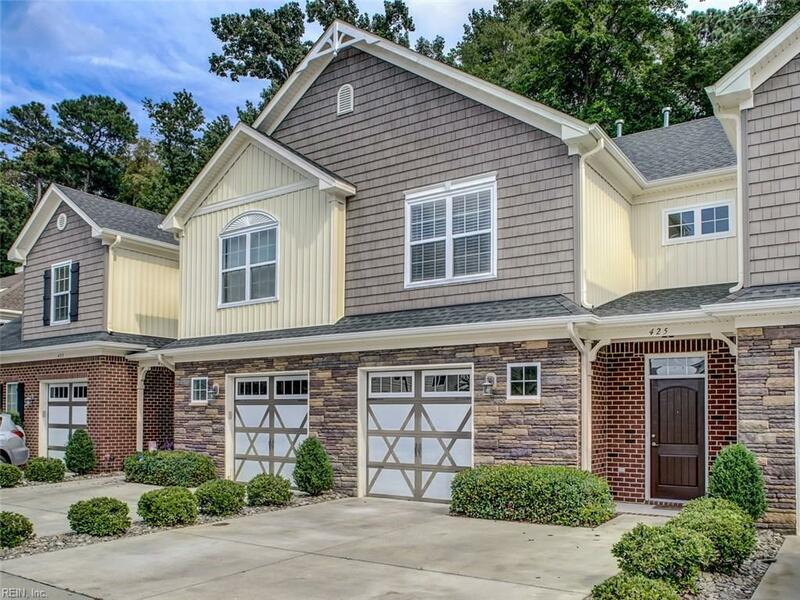 425 Green Meadow Dr, Chesapeake, VA 23320 (#10212298) :: Abbitt Realty Co.
Immaculate and well-maintained condo in the heart of Chesapeake. 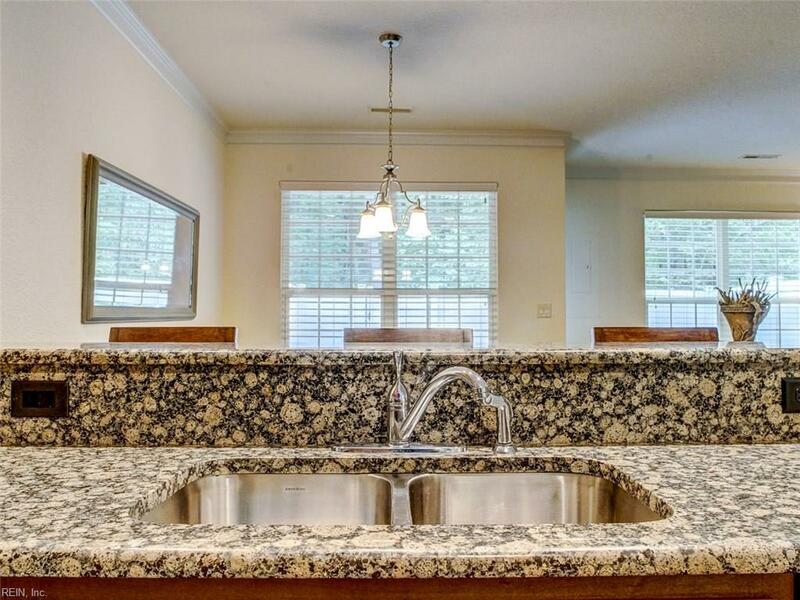 Built with upgrades such as custom cabinets, granite countertops, and wood floors. 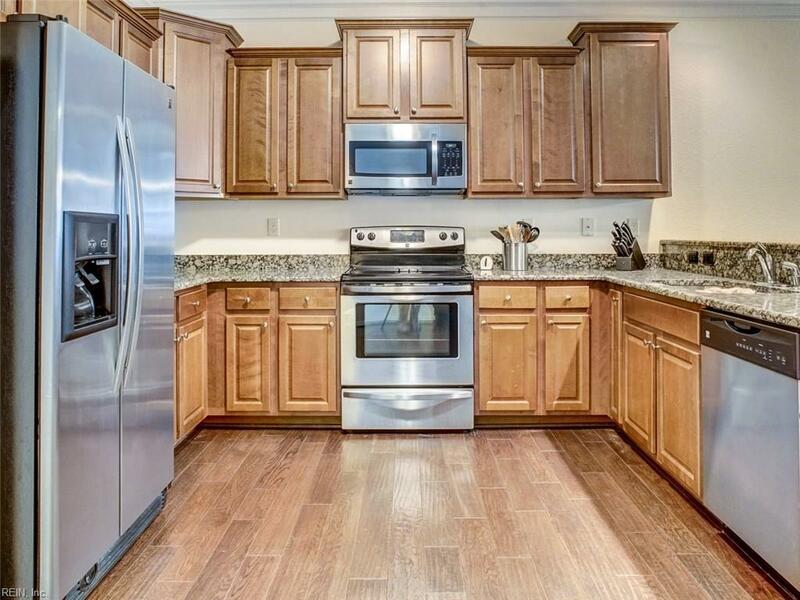 The spacious kitchen has stainless steel appliances and a bar height counter. The open floor plan boasts 9' ceilings, a dining area and a vast living room area just perfect for entertaining. Upstairs, the master suite is open and inviting with a separate shower and soaking tub in the master bath. This condo comes complete with a private and beautifully landscaped fenced in patio area. 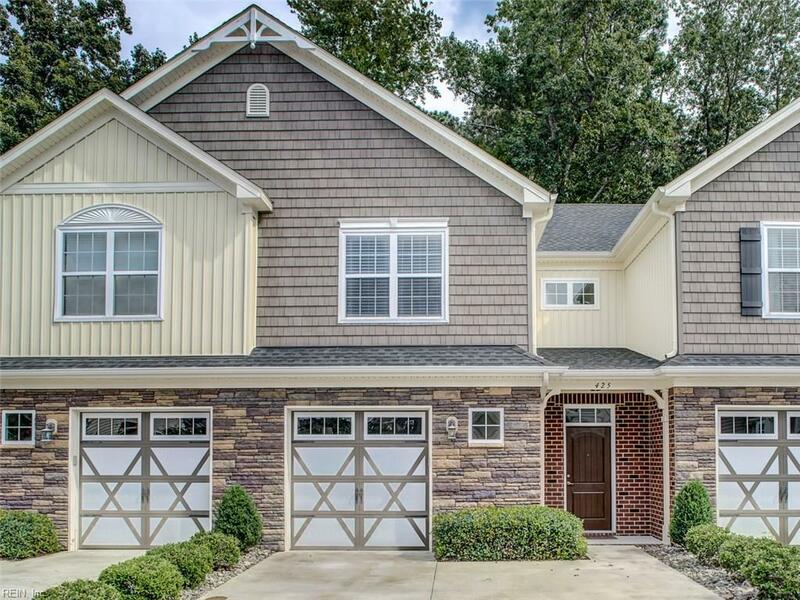 If you want maintenance free, stress-free, comfortable living close to shopping, dining, doctors offices and hospital, with easy access to interstates, look no further! All or a portion of the multiple Listing information is provided by the Central Virginia Regional Multiple Listing Service, LLC, from a copyrighted compilation of Listings. All CVR MLS information provided is deemed reliable but is not guaranteed accurate. The compilation of Listings and each individual Listing are © 2019 Central Virginia Regional Multiple Listing Service, LLC. All rights reserved.The information being provided is for consumers' personal, non-commercial use and may not be used for any purpose other than to identify prospective properties consumers may be interested in purchasing. Data last updated: 2019-04-23T07:56:57.207. © 2019 Williamsburg Multiple Listing Service, Inc. All rights reserved. The data relating to real estate for sale on this website comes in part from the Internet Data Exchange Program of the Williamsburg Multiple Listing Service, Inc. Real estate listings held by brokerage firms other than Abbitt Realty Co. are marked with the Internet Data Exchange logo or the Internet Data Exchange brief/thumbnail logo and detailed information about them includes the name of the listing firms. All information is deemed reliable but is not guaranteed. IDX information is provided exclusively for consumers' personal, non-commercial use and may not be used for any purpose other than to identify prospective properties consumers may be interested in purchasing. Data last updated: 2019-04-23T08:35:18.99.